Bansko is the ideal resort for family holidays at all times during the year. Here, amidst the unique nature and entertainment, people relax completely; they are filled with unforgettable emotions and energy. The resort is world famous and tourists from all over the world come here. Bansko welcomes half a million people annually. Accommodation facilities meet all possible preferences. For a family holiday in Bansko you can choose from 5-star luxury hotels, smaller family hotels to guest houses. The resort has developed all types of tourism which allows for a varied family holiday. 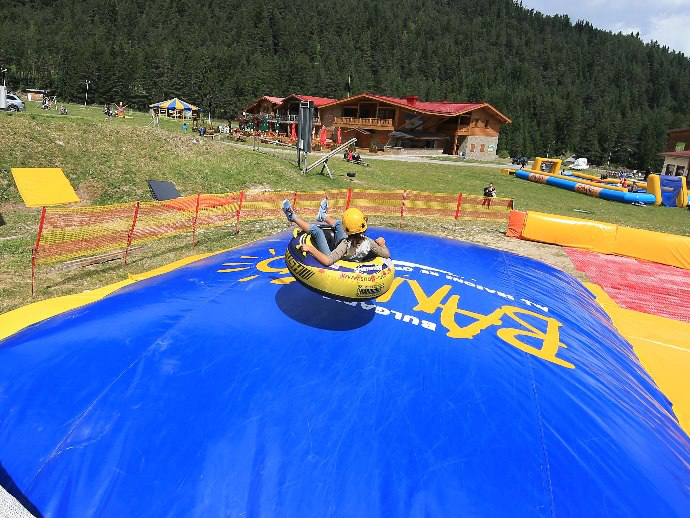 For example, the luxurious Lucky Bansko Hotel offers SPA and Aqua holidays; in the summer organizes mountain excursions and trekking, exciting hunting and fishing; practicing of various sports, including extreme rock climbing, rafting, ATVs and buggy tours; cultural, culinary tourism, etc. In addition to the many museums and cultural monuments – nearly 150 in the region, the Bansko program for tourists has given a special place to the authentic folklore in this region – songs, music, dances, rituals. The interesting folklore performances with original costumes and stories accompany many of the entertainment programs offered to the guests and there are special holidays of all the town which are thematic for the traditions of the Bansko region – customs, cuisine, preserved artistic crafts. Of course, if on a family holiday in Bansko, preferences can be picked out and combined with different offers. In winter naturally ski sports are in the center of attention. Many tourists come over the weekends including from neighbour countries. The Bansko Ski Resort is famous for its international and world winter sports competitions, but many of the tracks are also adapted for beginners or intermediate skiers. There are not only ski schools for every age and level of sport, but also a children’s ski garden, children’s trains, and a carousel trail. Thus all the conditions for a complete family holiday in Bansko in the winter are created. By choosing a family holiday in Bansko, tourists can enjoy the comprehensive information provided by the Municipal Visitor Center. Here you can learn everything about Bansko and the region, about the historical, cultural and natural landmarks, museums, itineraries, excursions, transport, state of the ski tracks and facilities, etc. And not only this. Objects can be viewed in advance via touch screens in modern terminals. This makes it possible to choose what, for example, would be interesting for children. There are tour guides, instructors and mountain guides. The Center is located at a comfortable location in the Nikola Vaptsarov Community Center. In addition to providing useful information, tourist attractions here continue. At the Center there are constantly exhibitions, concerts, local customs, creative workshops for souvenirs made of fabric, tapestry, carving, and many others. During a family vacation in Bansko both the little ones, and the adults, will find the lessons of bagpipe, mandolin, folk singing and dancing of interest. Numerous visitors are also attracted by the interesting exhibitions of energetic paintings, painted glass, wood carving, wooden sculptures, paintings and many others. These attractions are under the Traditions and Art project of the Municipality and for more than two months in the summer – from the end of June to the beginning of September, visitors at the Bansko Visitor Info Center can see the unique Bansko culture and art. The Visitor Center is a stage for numerous impressive concerts, for example the summer music festival. In July this year there was a concert of the Symphony Orchestra, Choir, the Solarpege Guitar ensemble and the Flute ensemble. At the Municipal Tourist Center in an interesting way, with multimedia and a program with theatrical elements, the significant anniversaries are celebrated- e.g. Levski’s commemoration or May 9 – Europe Day, etc. These celebrations of different dates also attract a big audience.